2014 GHBER Bette Stead Scholarship Recipients:Left to Right: Jesse H. Jones School of Business: pictured Dr. Ronald A. Johnson, Dean, Jesse H. Jones School of Business, Mr. Mithil Rana, MBA Student – 2014 GHBER Award Recipient, Amy Lilly, GHBER, Stella Raymaker, GHBER, Dr. Mahesh Vanjani Chair, Department of Business Administration, Mr. Naveed Haider, Graduate Programs Advisor. Houston Baptist University: pictured Rick Chapman, GHBER; Ruth Davies-Dillman (scholarship recipient), Mohan Kuruvilla, Ph.D., CPA, Dean and Herman Brown Chair, School of Business. 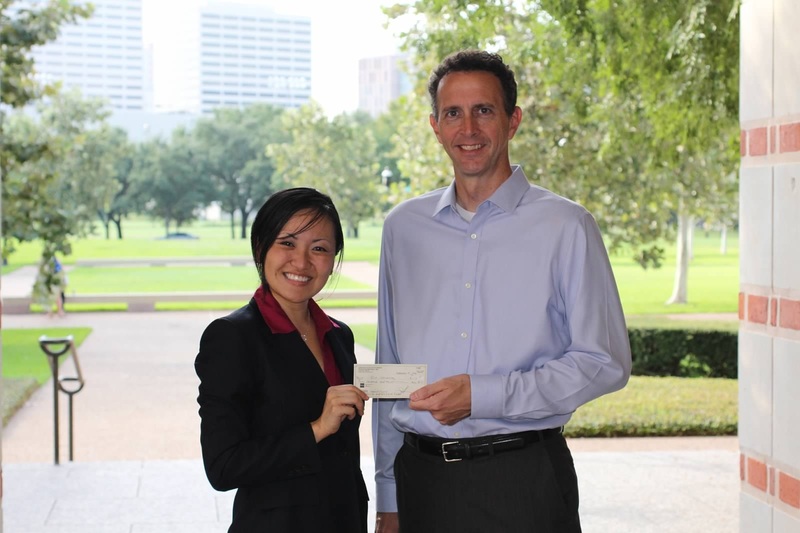 Rice University: pictured Muxin Li (scholarship recipient) Rick Chapman - GHBER.